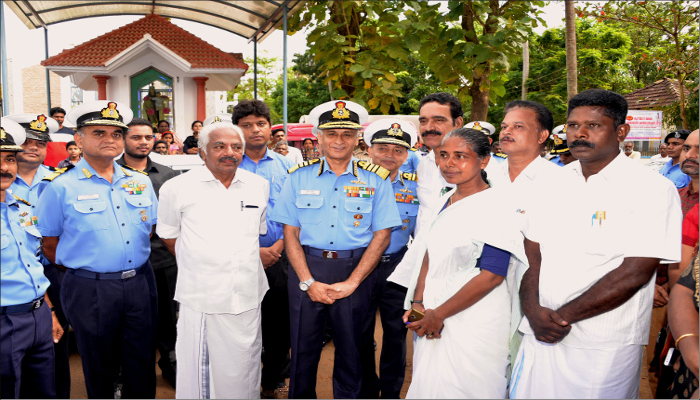 Admiral Sunil Lanba, PVSM, AVSM, ADC, Chairman Chiefs Of Staff Committee (COSC) and Chief of the Naval Staff (CNS) visited Muttinakam village in Varapuzha Panchayat of Ernakulam district on 29 August 2018 to review relief and rehabilitation work in this locality which was ravaged during the recent Kerala floods. 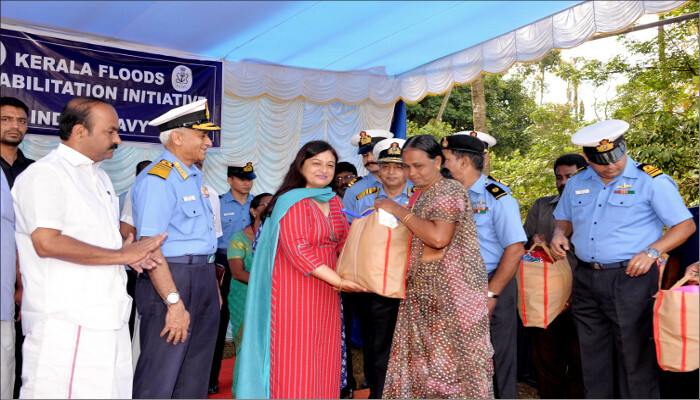 The CNS was accompanied by Vice Admiral AK Chawla, AVSM, NM, VSM, Flag Officer Commanding-in-Chief, Southern Naval Command (SNC), Mrs Reena Lanba, President, Navy Wives Welfare Association (NWWA) and Mrs Sapana Chawla, President NWWA (Southern Region). Admiral Lanba interacted with Adv VD Satheesan, MLA of Paravur, Shri S Sharma, MLA of Vypin, Shri Mohammed Safirullah, District Collector Ernakulam and members of Muttinakam village at Varapuzha Panchayat. Relief materials worth about Rs 25 Lakhs, from NWWA were handed over to the Local Self government officials by President NWWA. 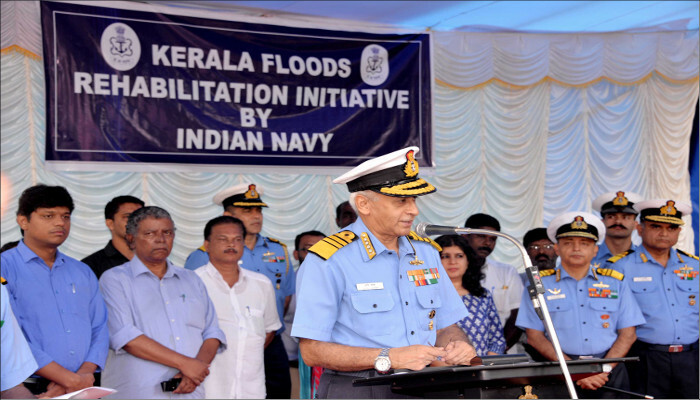 While addressing the gathering CNS emphasised that all naval personnel including himself were connected with Kerala by an umbilical cord with the “Janamabhumi” as all personnel are trained under the SNC based at Kochi prior to becoming fullfledged naval personnel, and reiterated that he had been closely monitoring the situation over these past several days and that the Navy had deployed its personnel and assets from across the Navy during the crisis and that the focus now is on relief activities. 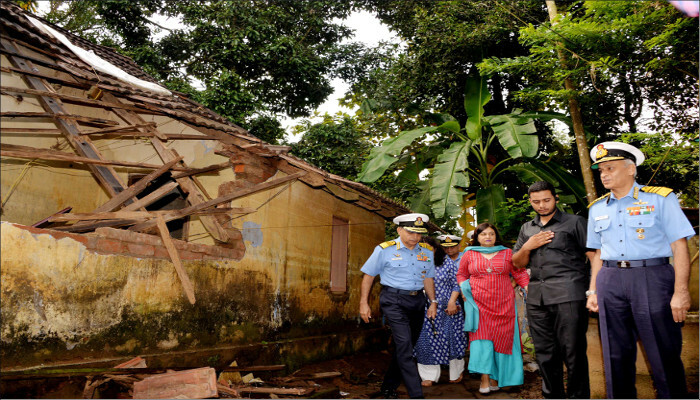 CNS further said that Indian Navy has selected two localities based on inputs received from the local administration and visits by naval officials wherein Rehabilitation initiatives were proposed to be undertaken to restore the area. 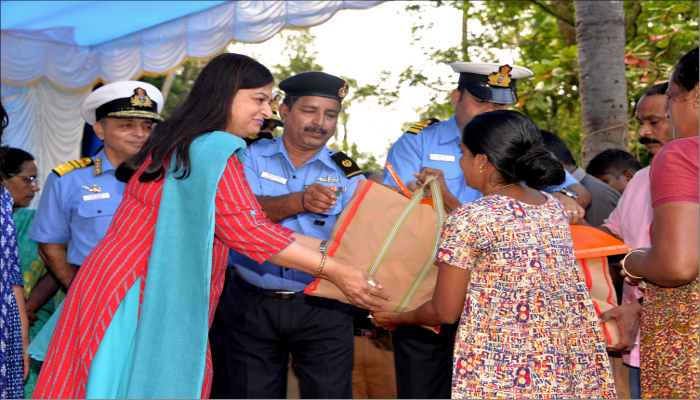 The shortlisted localities where Navy intended to carry out reconstruction works were Muttinakam in Varapuzha Panchayat and Cheriya Kadamakudi in Kadamakudi Panchayat. 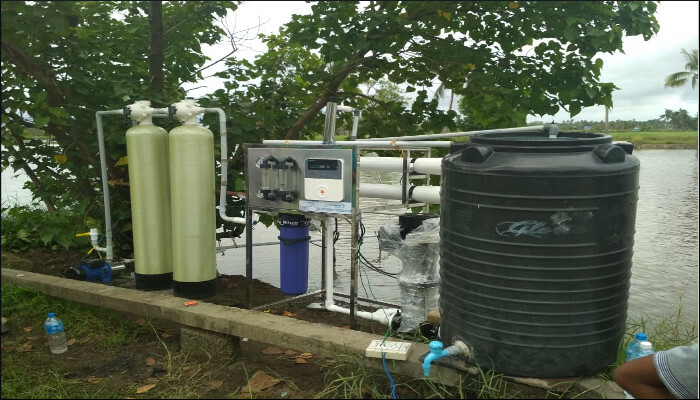 The activities in Muttinakam includes reconstruction of a completely damaged house on the river bank, complete renovation of the sub Primary Health Centre and Anganwadi along with furniture, equipment, play equipment and other essential equipment. Rehabilitation kits (800 for Muttinakam and 500 for Cheriya kadmakkudi) containing essential commodities such as clothing, cleaning gear and utensils etc. were distributed on the occasion. Additionally, some other requirements including the construction of a bridge connecting Pizhala Island to Cheriya Kadamakudi hamlet would also be considered and the feasibility explored. 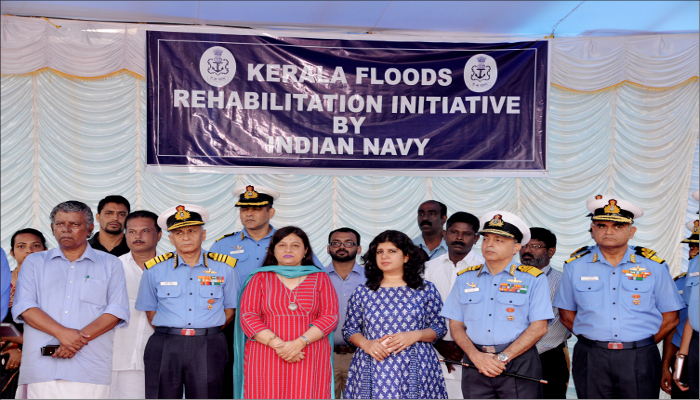 CNS has directed SNC to coordinate the rehabilitation activities on behalf of the Navy. CNS would also be meeting the Hon’ble Chief Minister of Kerala on 30 August 2018 to discuss any further support required from the Navy to overcome the situation. CNS would also be handing over a cheque of Rs 8.9 Crore to CM Disaster Relief Fund as a voluntary contribution from the salaries of naval personnel.